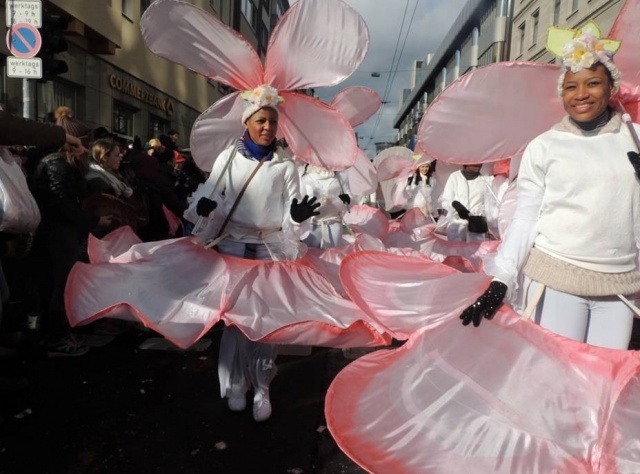 (Seychelles News Agency) - Seychelles dancers and artists performed in front of a massive crowd at this years’ Rose Monday Carnival Parade in the German city of Düsseldorf on Monday, according to a statement from Seychelles Ministry of Tourism and Culture this morning. Onlookers standing in the wintry German outdoors were able to escape temporarily to an Indian Ocean island paradise as the unique bird and flower-themed Seychellois troupe passed by, just behind the Carnival’s official Prince and Princess float. The parade, known in Germany as Rosenmontag , is the highlight of the German “Karneval” and is traditionally held on the Shrove Monday before Ash Wednesday, the beginning of Lent in the Roman Catholic calendar, and dates back at least 650 years. Stopping in Düsseldorf for a day en route to the ITB Tourism Trade Fair in Berlin, Seychelles Minister of Tourism and Culture, Alain St. Ange, said the Seychelles Carnival delegation’s visit was the first step in maximising Seychelles’ visibility on the international carnival scene. “Seychelles took the step a few years ago to include culture and the people of Seychelles in its marketing campaigns, and this first outing by a Seychelles Carnival delegation is the result of this new approach which also saw our islands enter the world of events," Minister St. Ange said the statement. A similar group from Düsseldorf had joined the Seychelles carnival in 2012. The young dancers belong to a dance group of the Jj Spirit Foundation, one of the largest youth organisations in Seychelles.